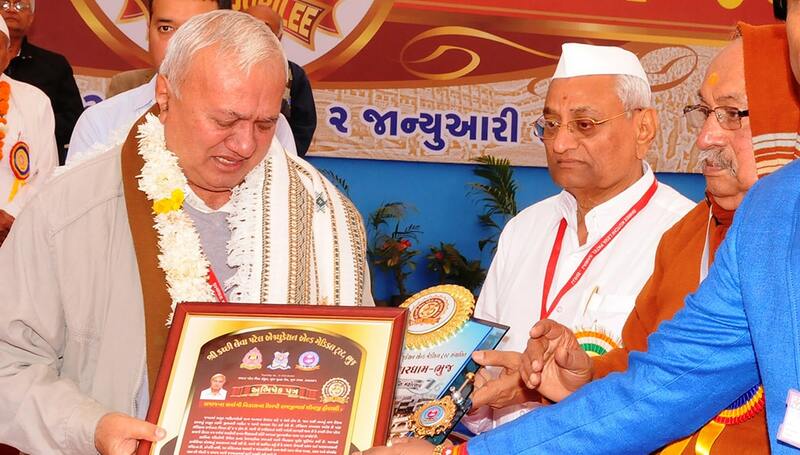 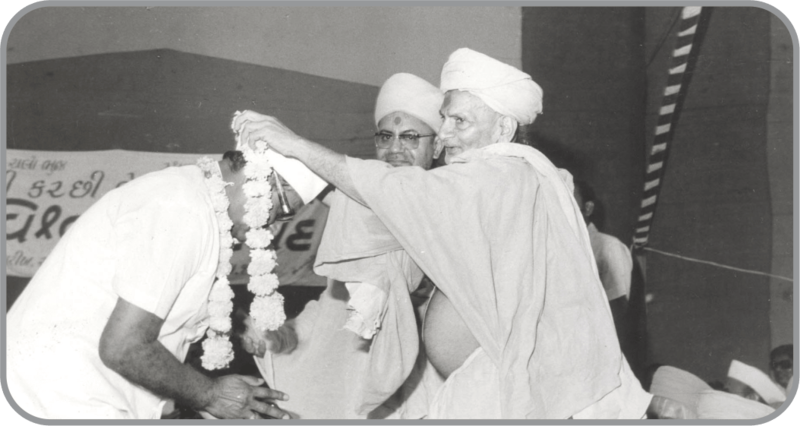 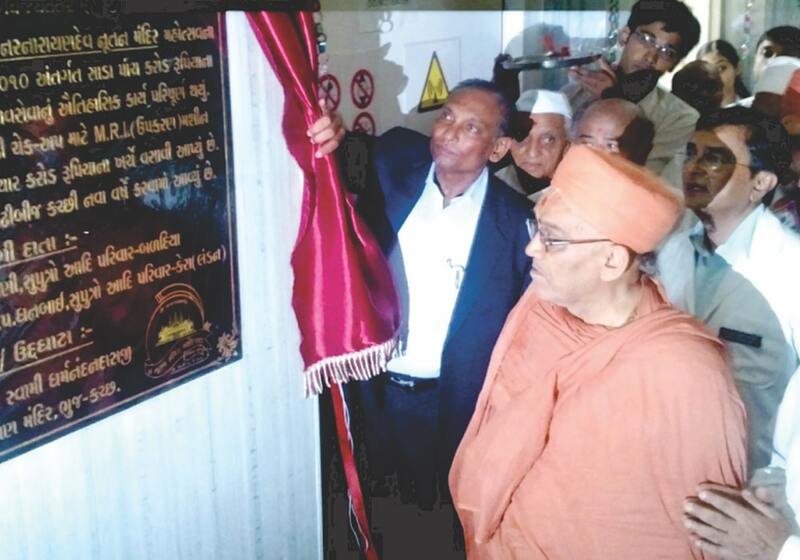 An elder saint of Shree Swaminarayan Mandir – Bhuj S.G. Swami Shree Murlimanohardasji garlanding Jadvabhai Parbat Varsani at the World Conference of community members. 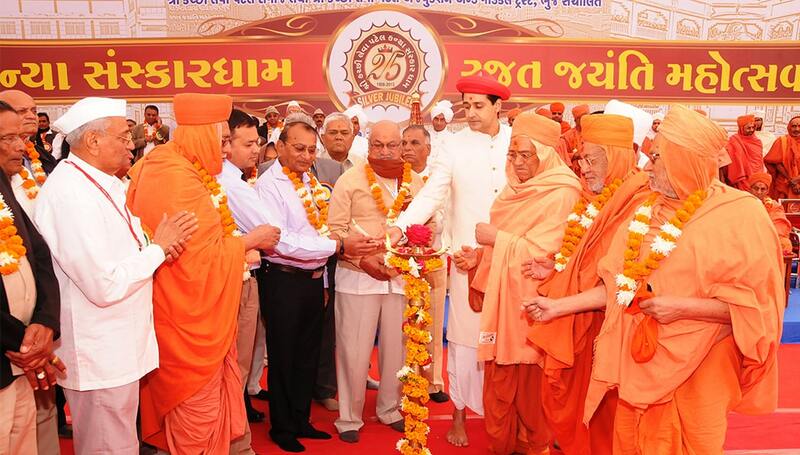 Leading entities on stage at the World Conference of community. 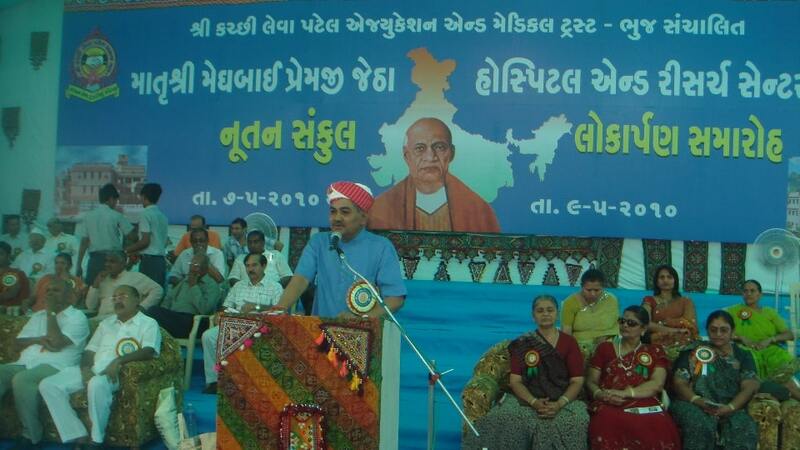 Devshibhai Dhanji Vekaria of Nairobi Samaj addressing the World Conference of community. 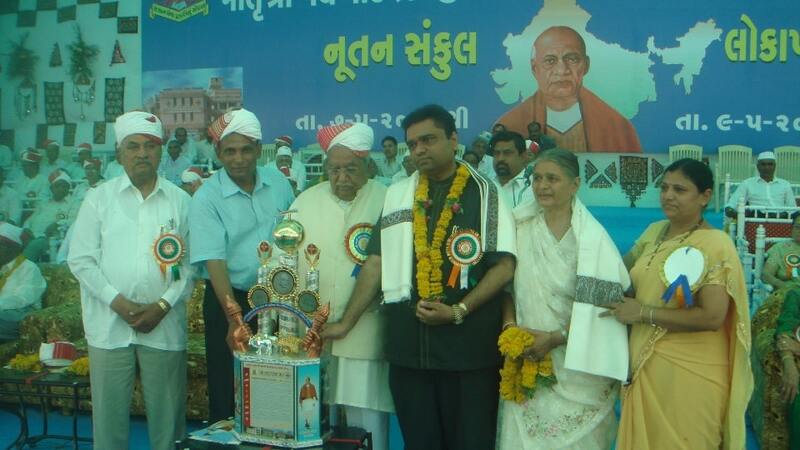 Foundation laying of Shri Kutchi Patel Kanya Vidhyamandir. 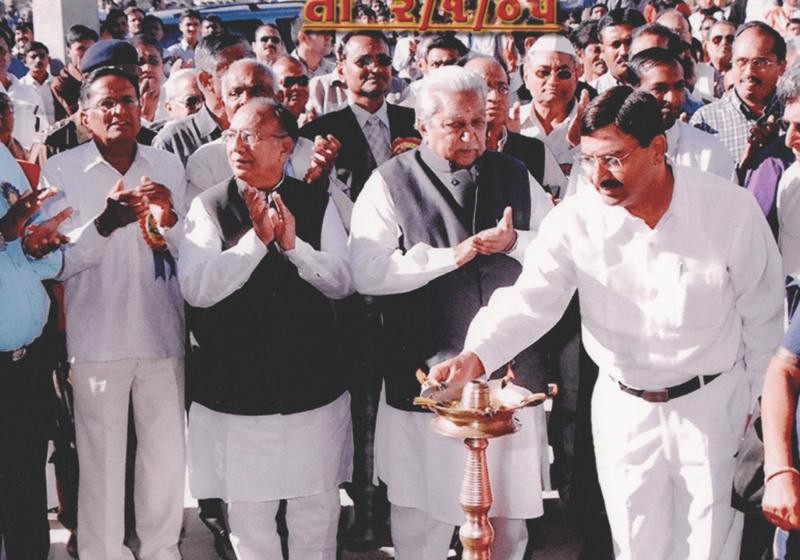 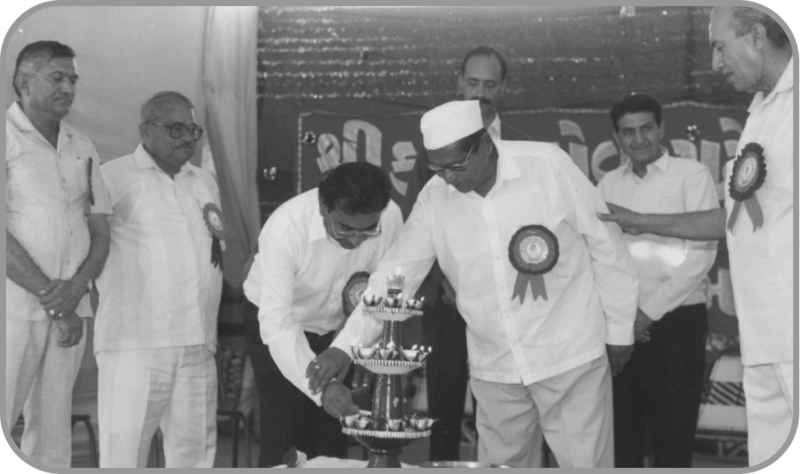 Lighting the lamp to inaugurate the Silver Jubilee festival of Bhuj Samaj - Ramjibhai Devji Varsani (Samatra), late V.K. 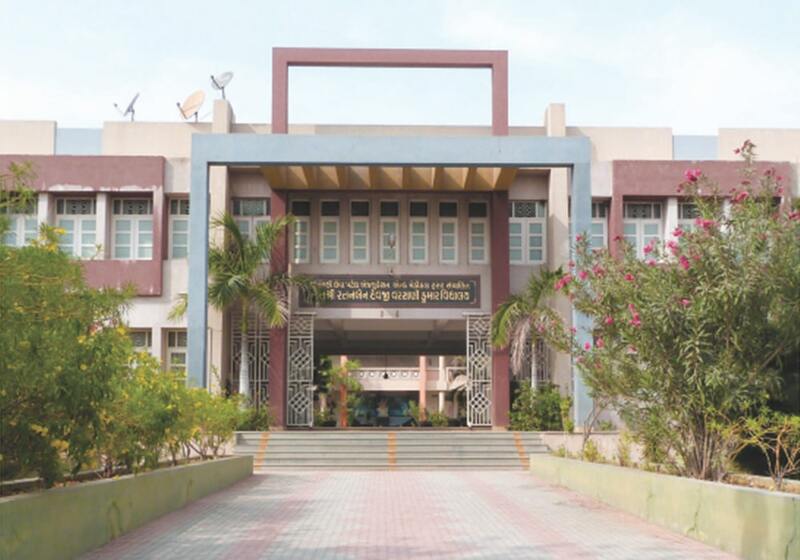 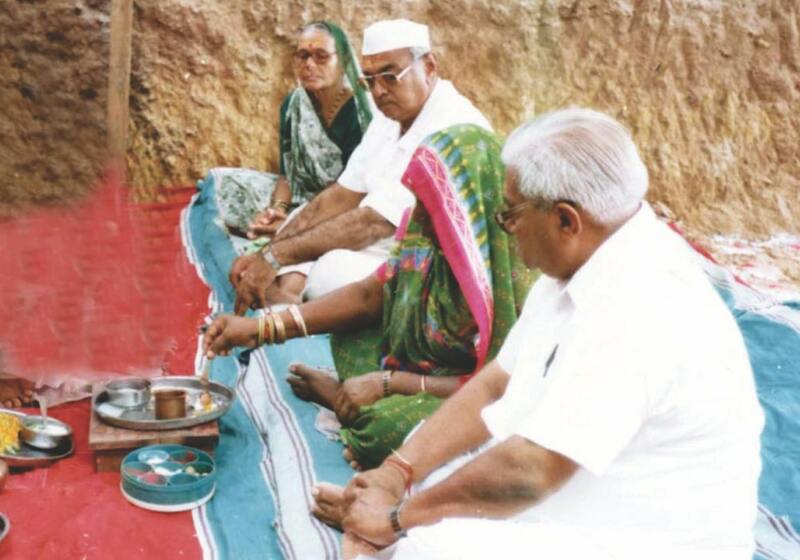 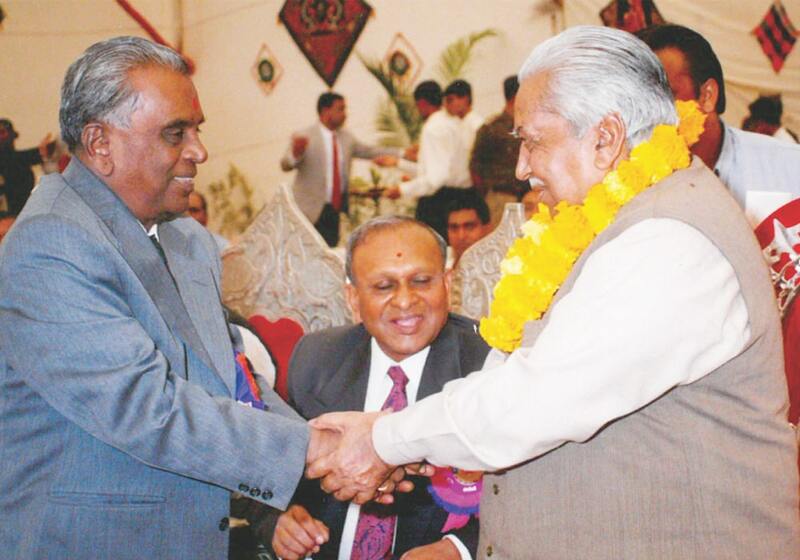 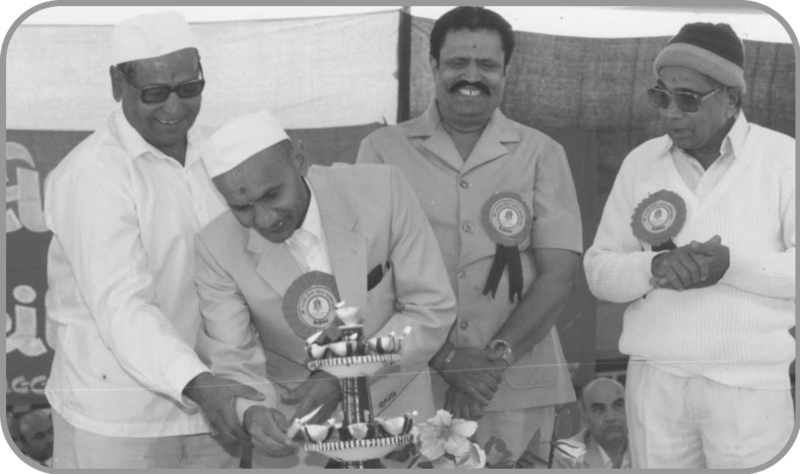 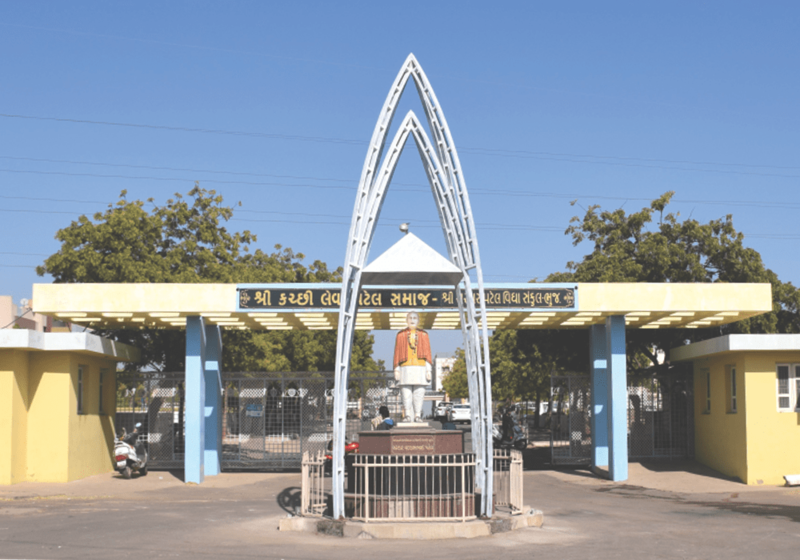 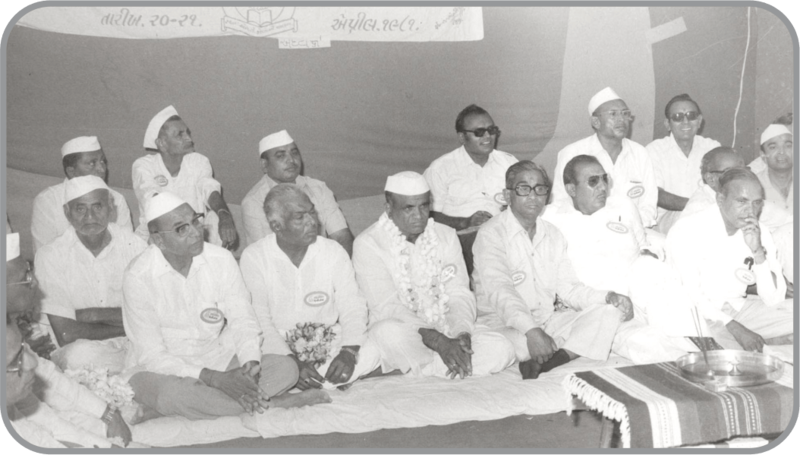 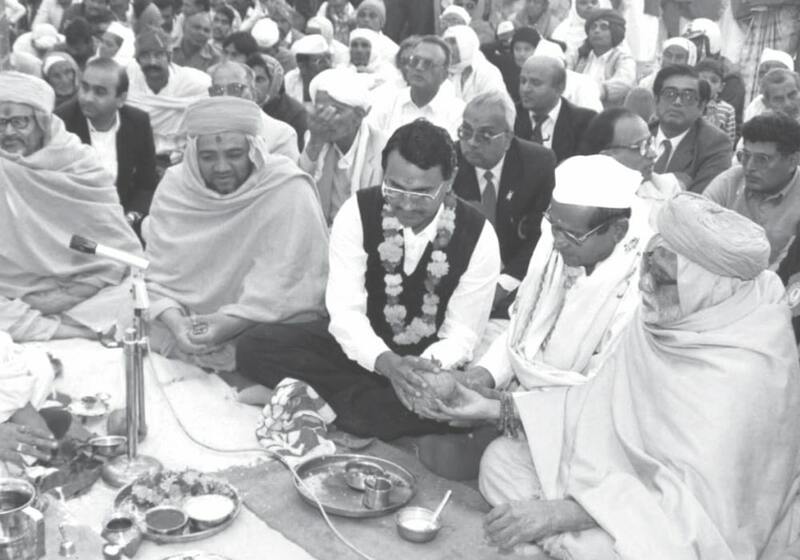 Patel (Madhapar), Vishrambhai Mulji Halai (Surajpar), Dhanjibhai Ramji Bhanderi (Vekra), Keshavlal Premji Bhudia (Fotdi) and K.K. 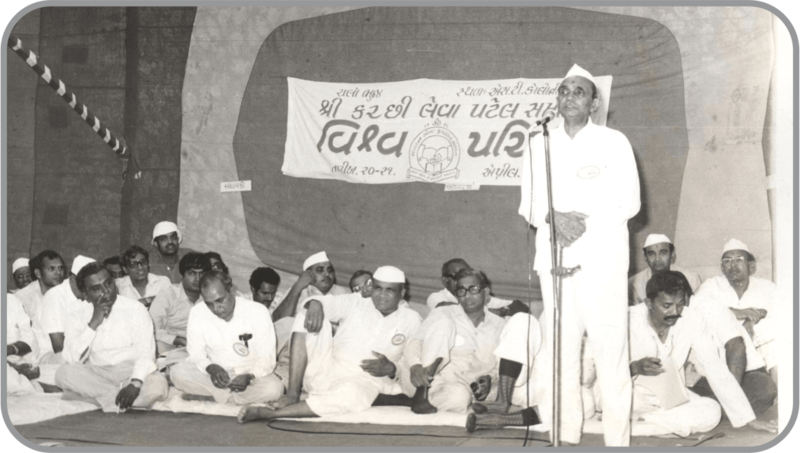 Patel (Samatra). 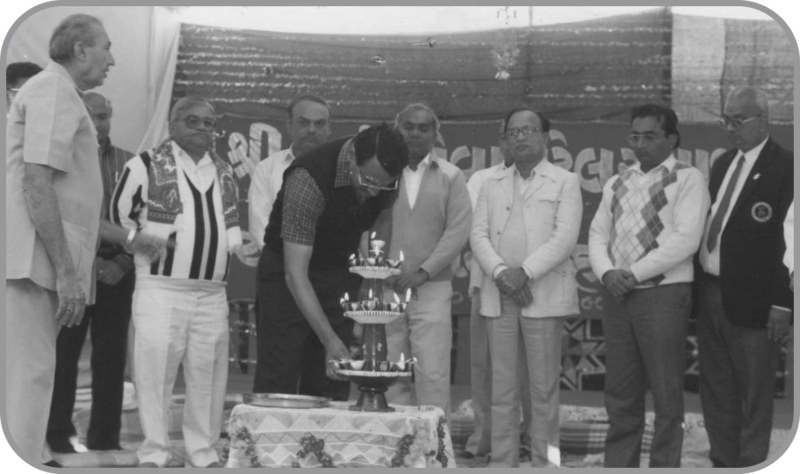 Inaugurating the cultural program of the Silver Jubilee festival of Bhuj Samaj - Kanjibhai Kunverji Varsani (Samatra), Kanjibhai Halai (Meghpar) and Ramjibhai Ravji Pindoria (Samatra). 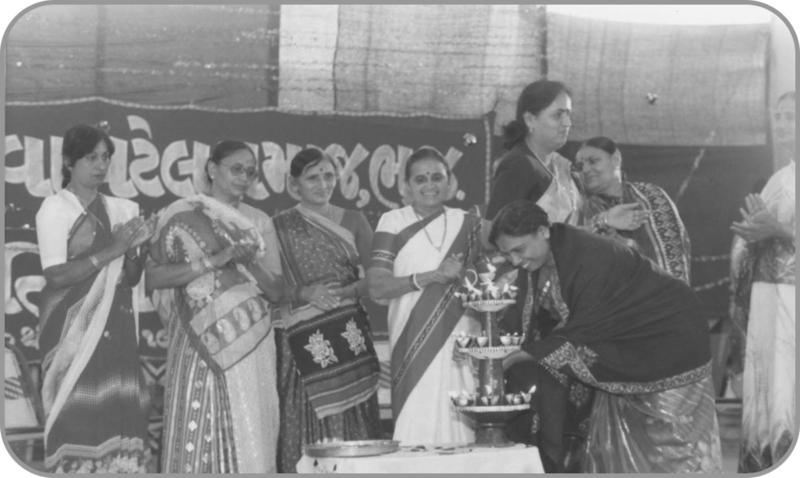 Inaugurating the Ladies conference during the Silver Jubilee festival of Bhuj Samaj - Viruben Bhudia (Madhapar), Kantaben Parbatray Hirani (Madhapar), Bhanuben Valji Patel (Bhuj), Puriben Mulji Pindoria (Kundanpur) & Valbai Ramji Varsani (Vekra). 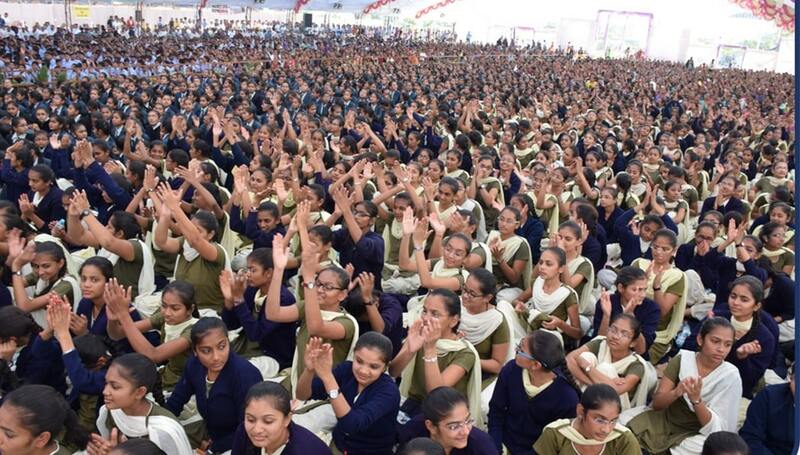 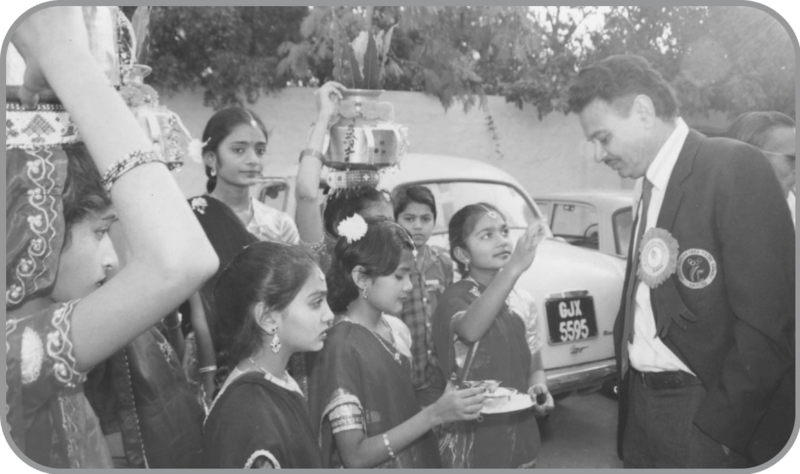 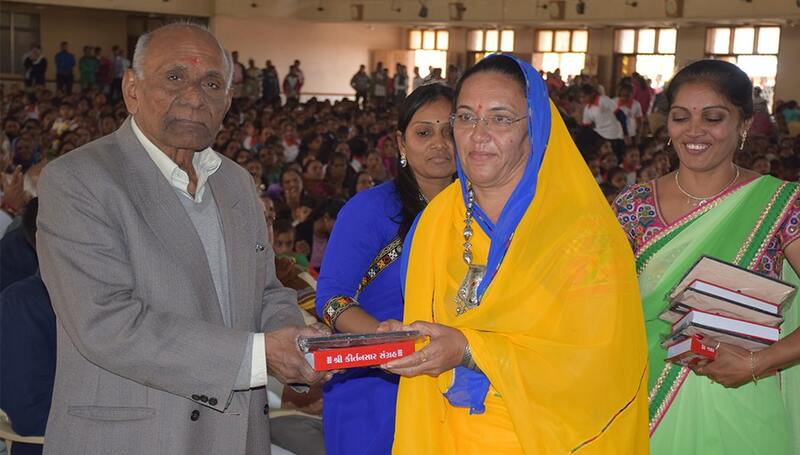 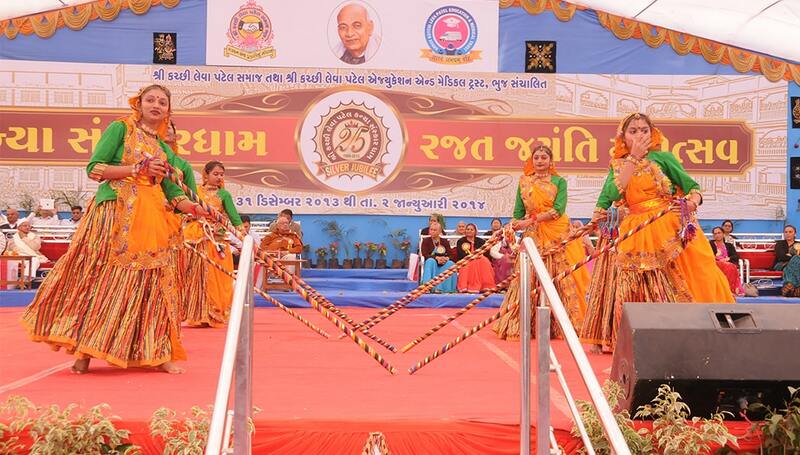 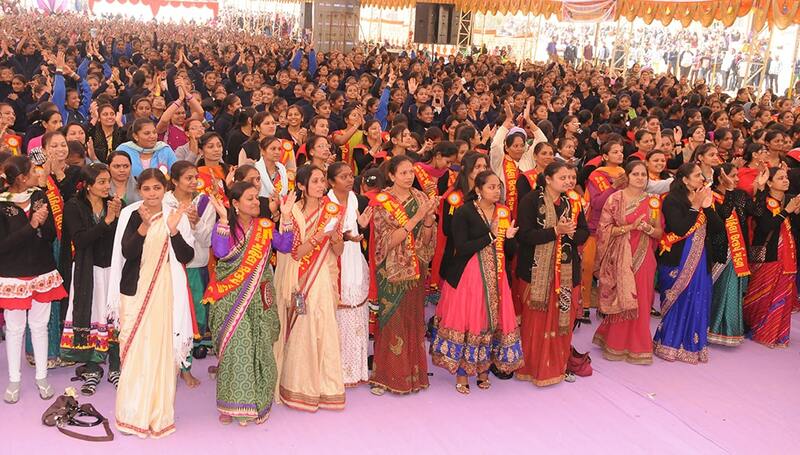 Laxmanbhai Bhimji Raghvani (Baladia) inaugurating the cultural program by girls of Sanskardham during the Silver Jubilee festival of Bhuj Samaj. 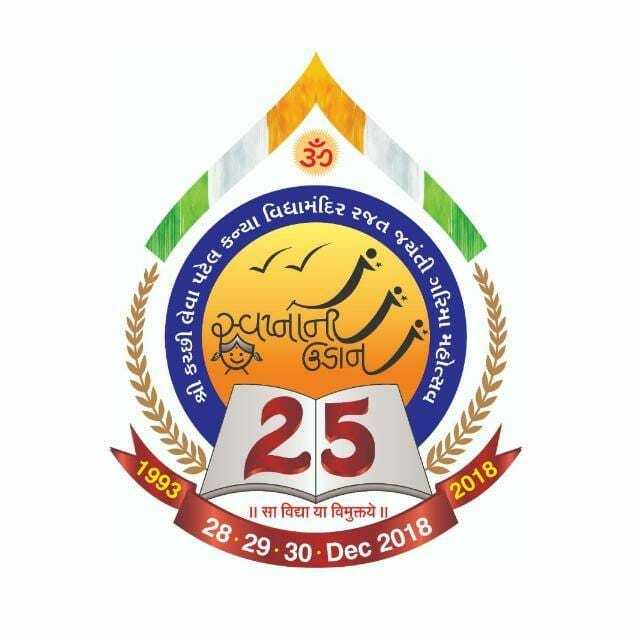 Inaugurating the cultural program on the second day of the Silver Jubilee festival of Bhuj Samaj - Ramjibhai Ravji Pindoria (Samatra), Vishrambhai Mulji Halai (Surajpar), Jadva Parbat Varsani (Naranpar) and K.K. 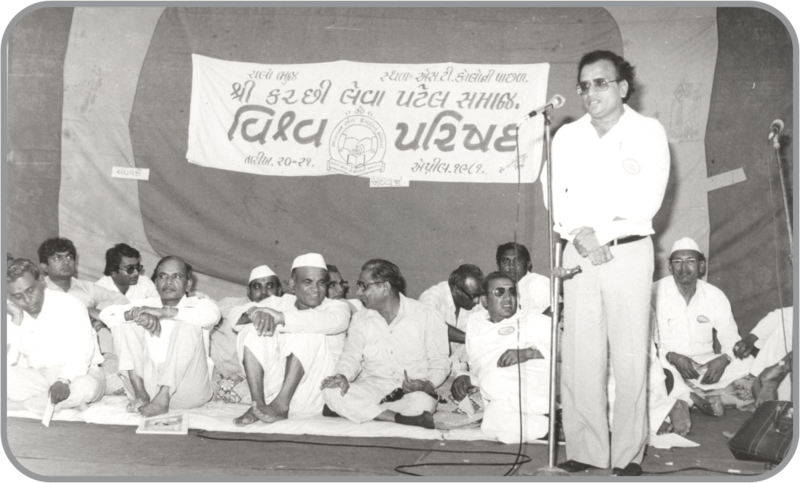 Patel (Samatra). 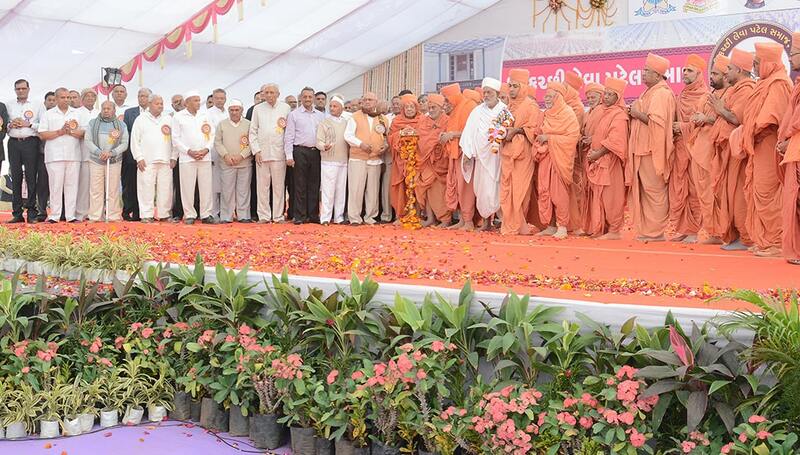 Foundation laying of New Wing of Kanya Sanskardham. 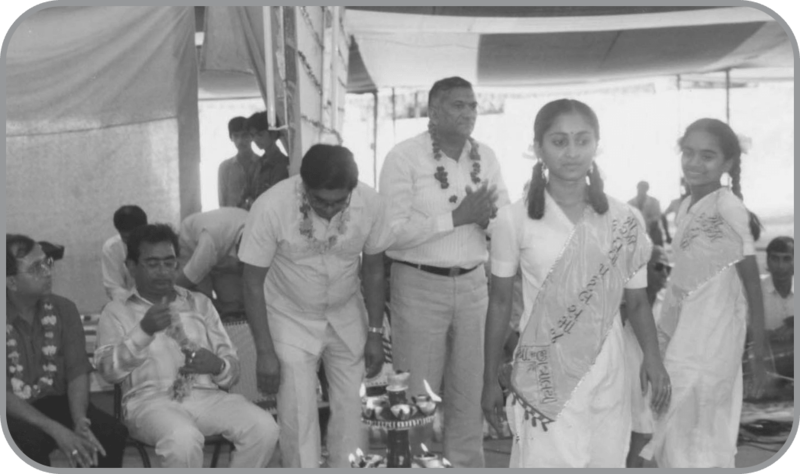 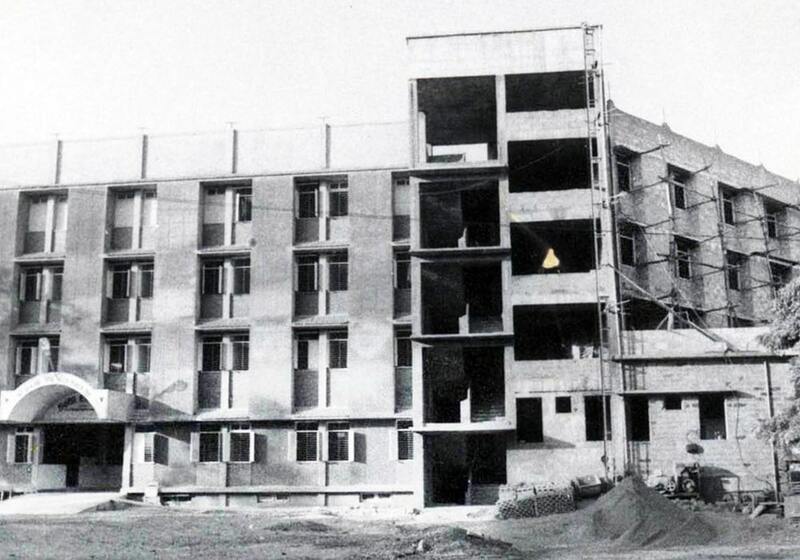 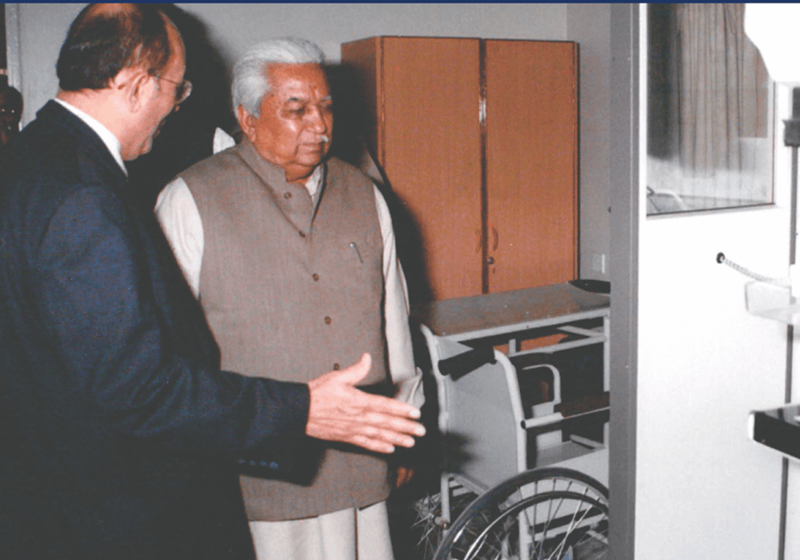 Foundation laying of Matushree Meghbai Premji Jetha Hospital & research Centre. 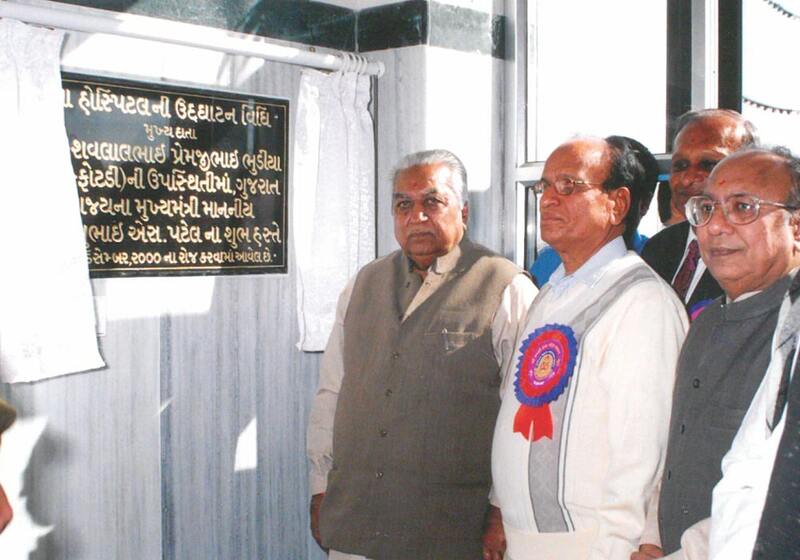 Inauguration of Matushree Dhanbai Premji Gangji Bhudia Community Hall. 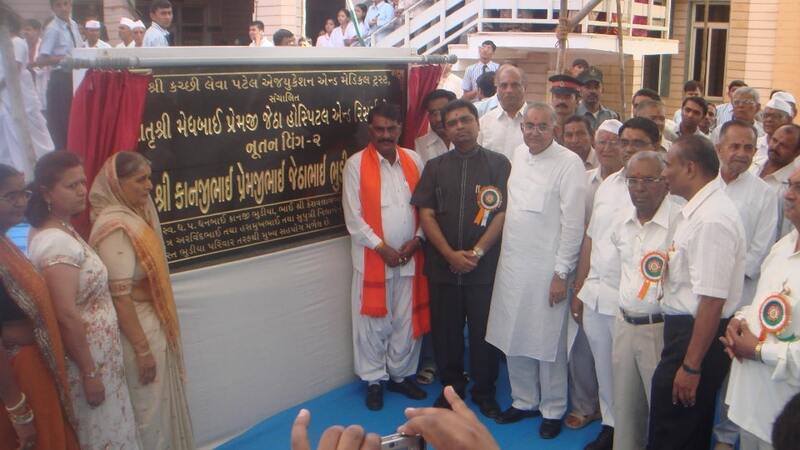 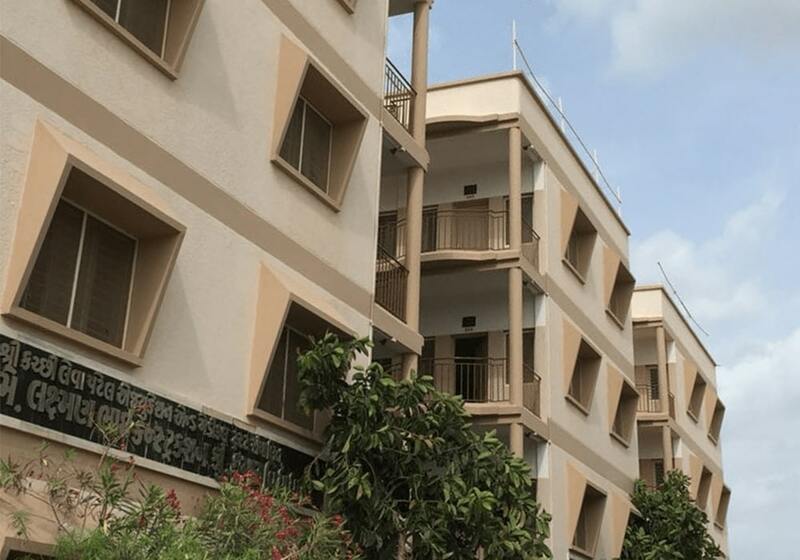 Inauguration of new wings of Kumar Vidhyalay namely - Laxmanbhai Construction Co. wing. 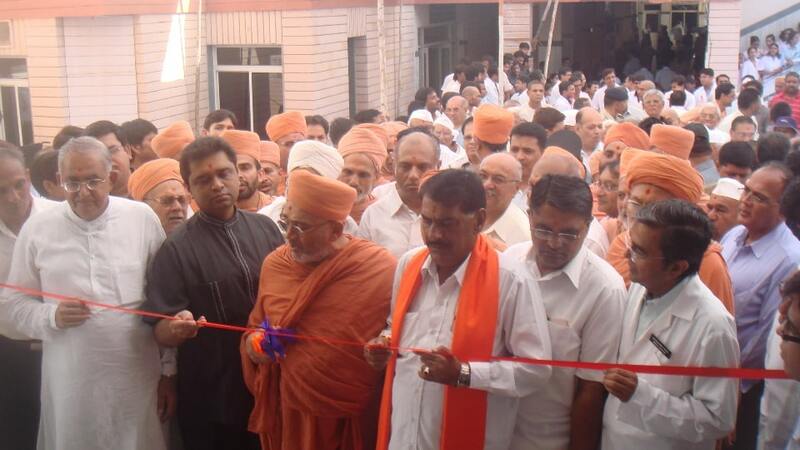 Inauguration of Matushree Kunverben Karsan Ruda wing. 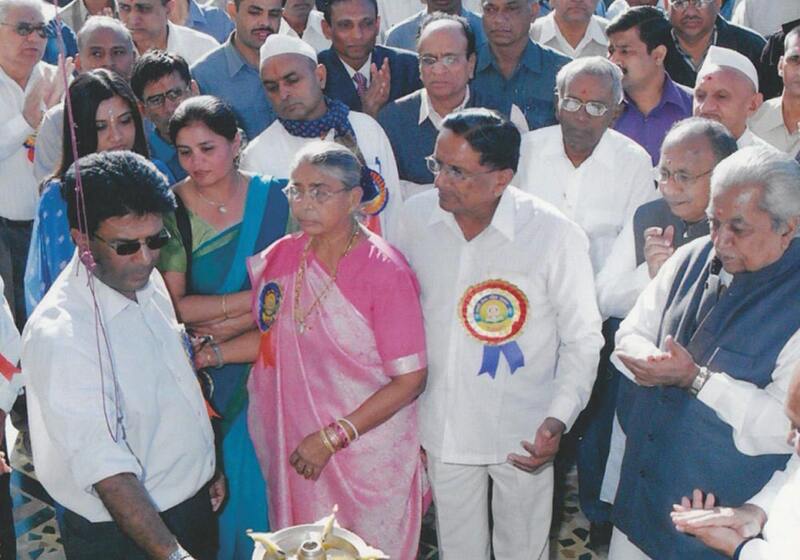 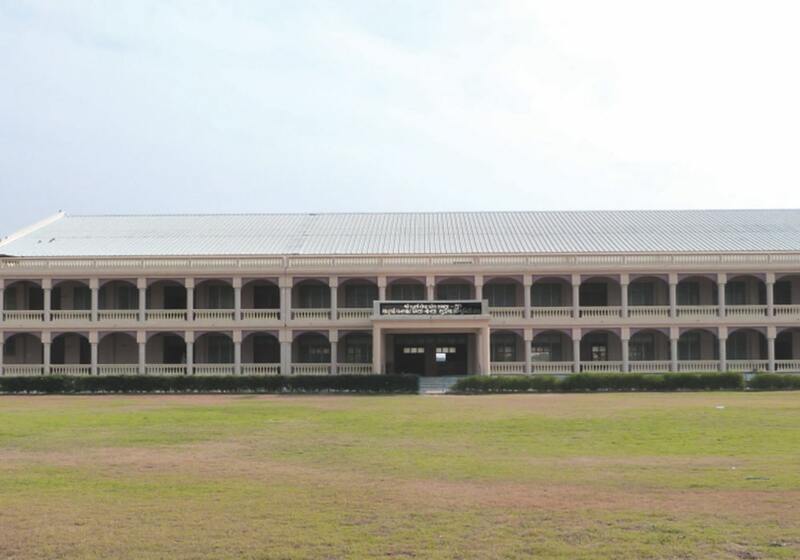 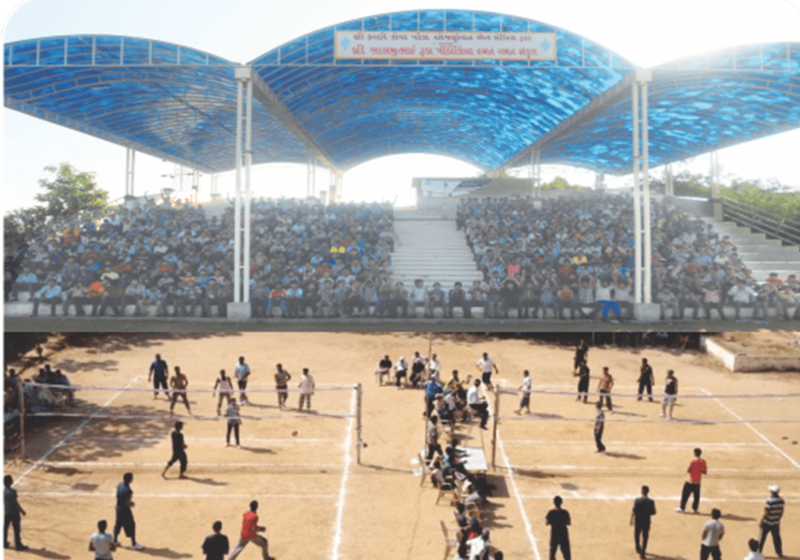 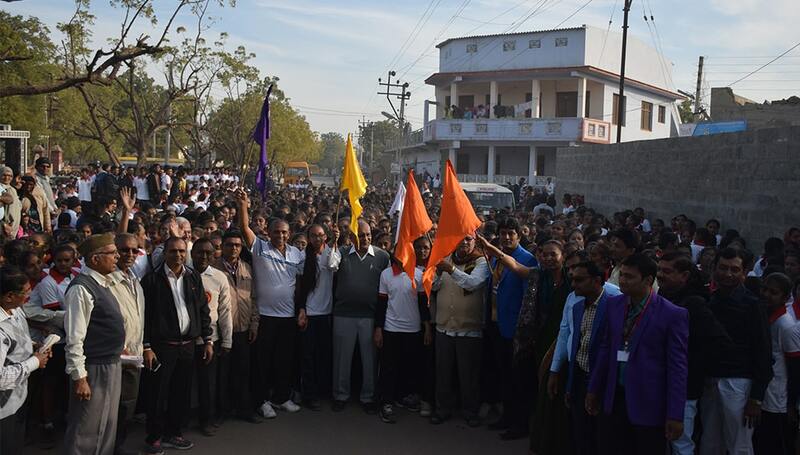 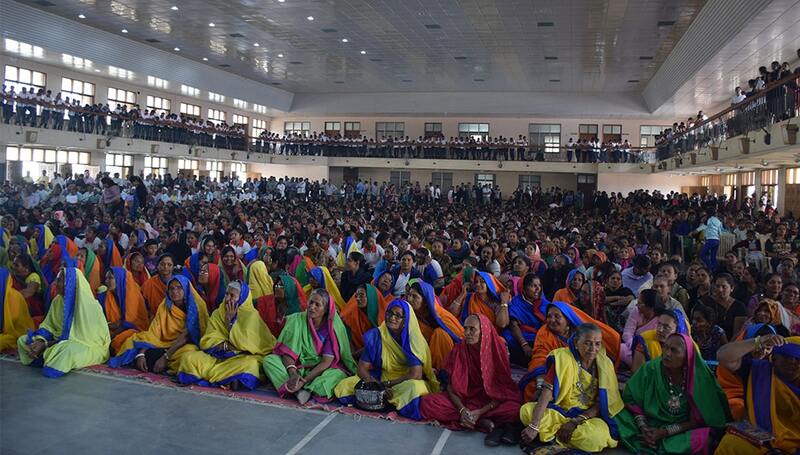 Inauguration of Lalji Ruda Pindoria Sports Complex. 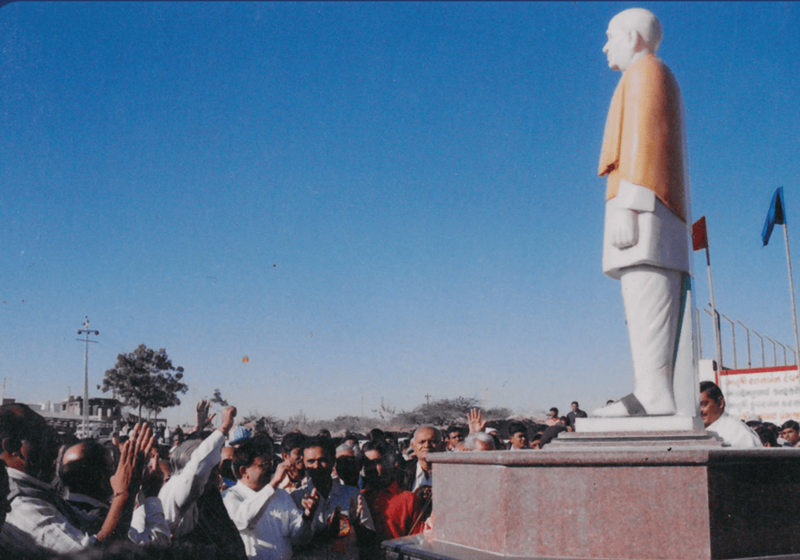 Unveiling of statue of Sardar Vallabhbhai Patel. 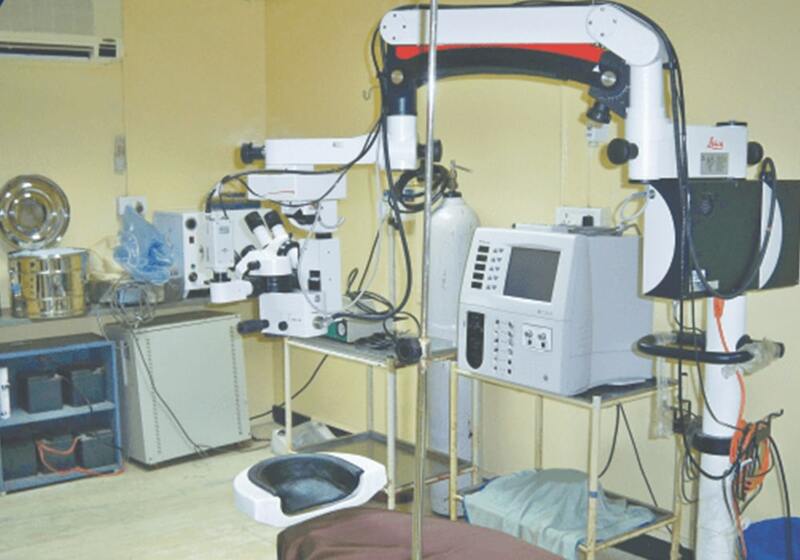 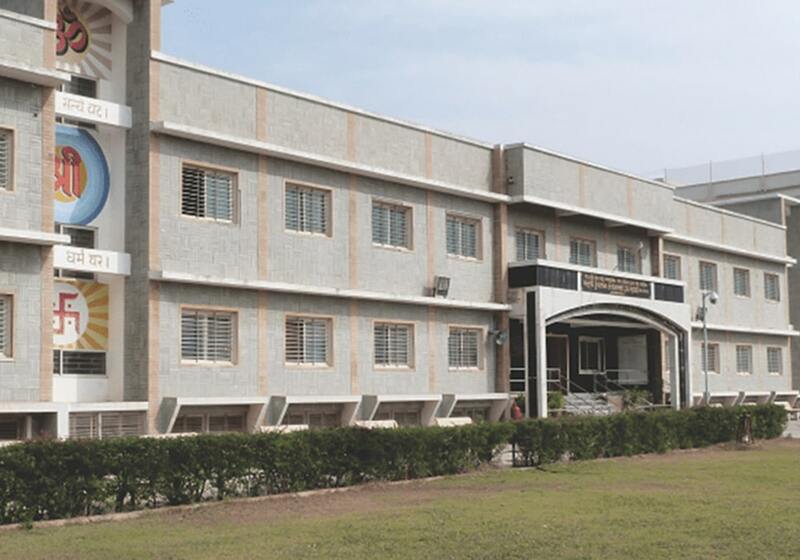 Eye department and a new operation Theatre at MMPJ Hospital. 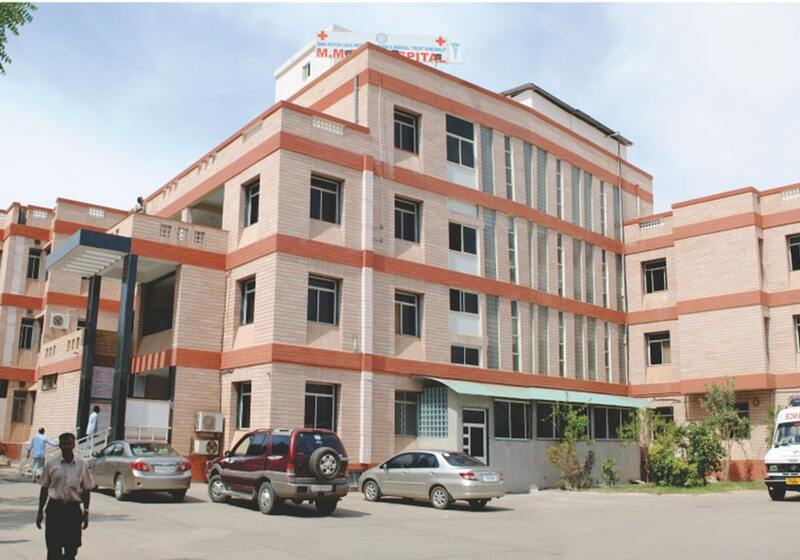 Start of MRI and ICU Department in MMPJ Hospital. 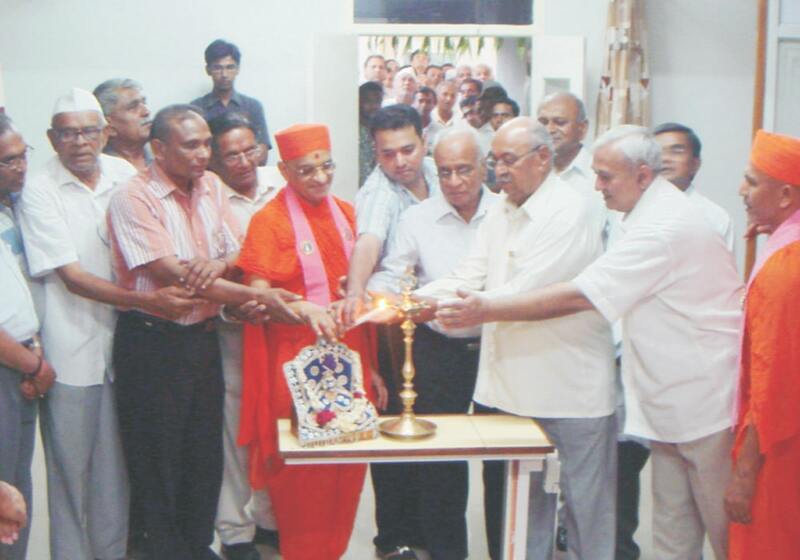 Inauguration of a new wing of MMPJ Hospital &Reasearch Centre. 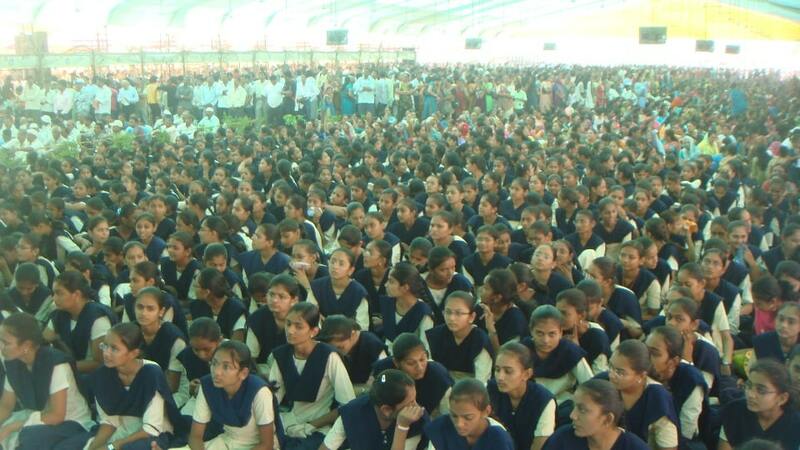 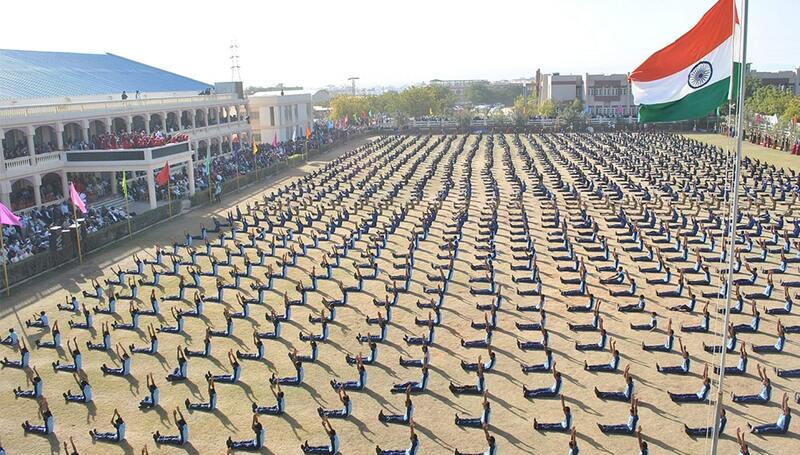 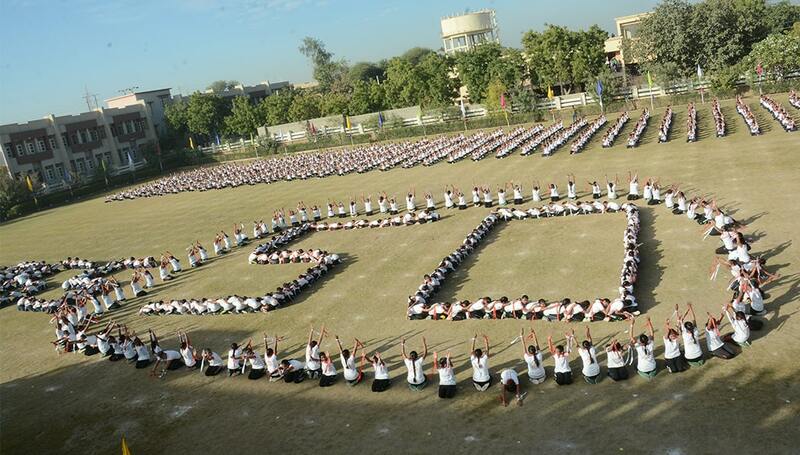 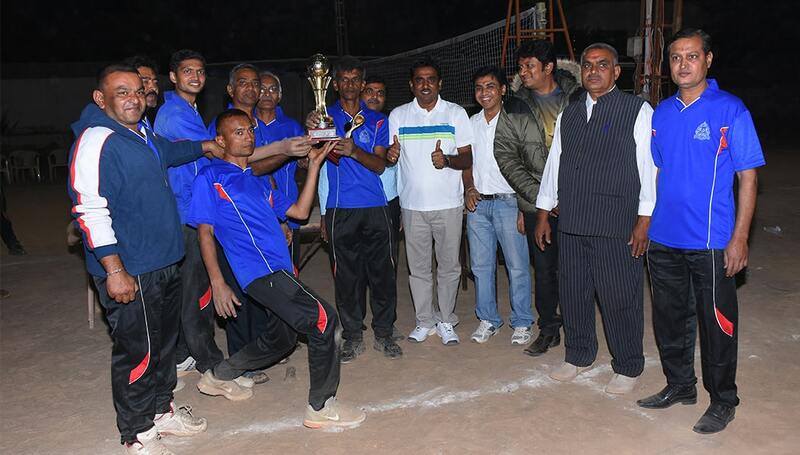 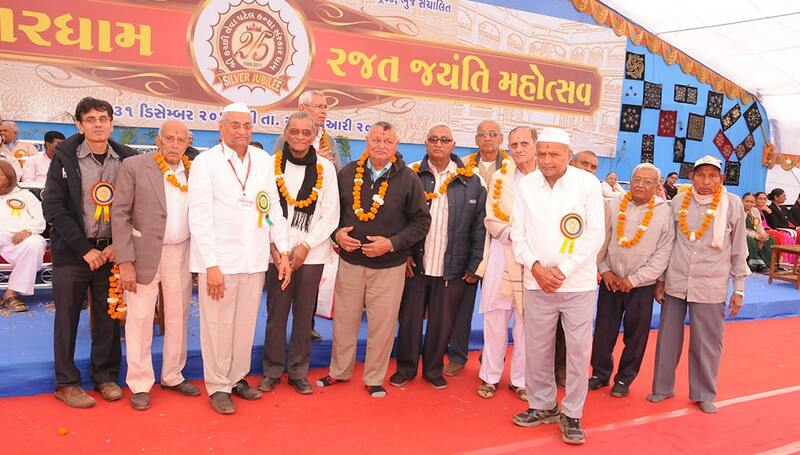 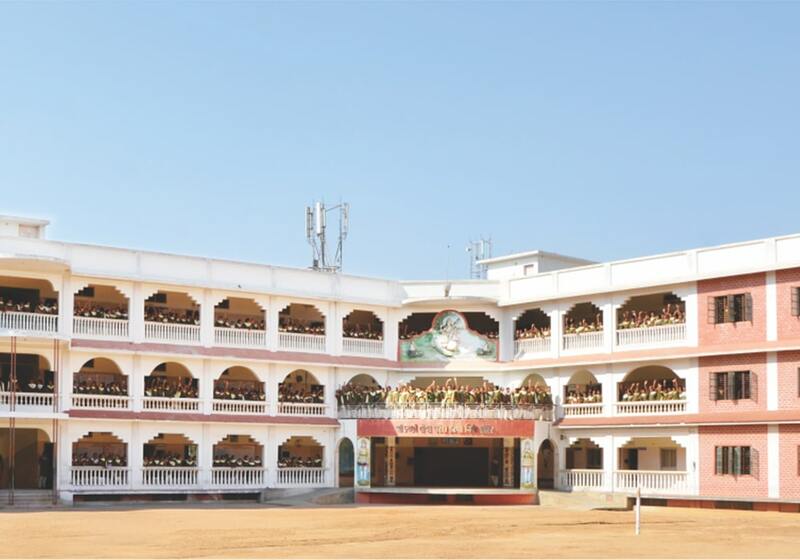 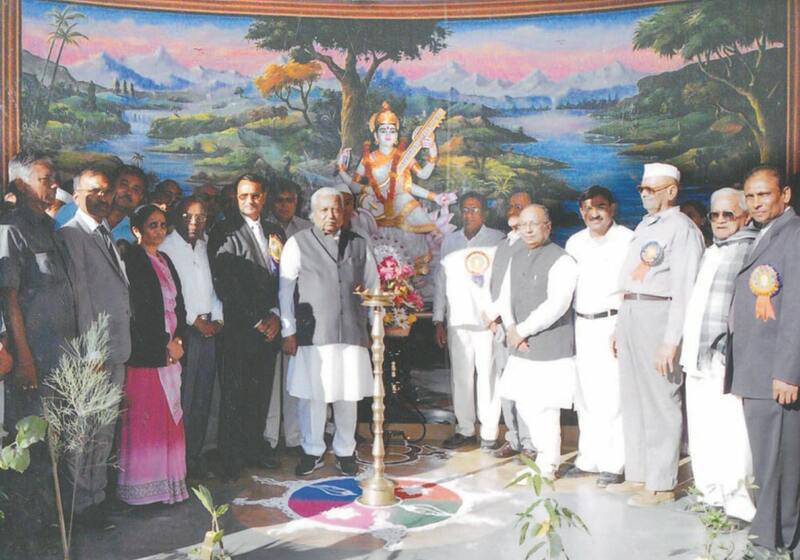 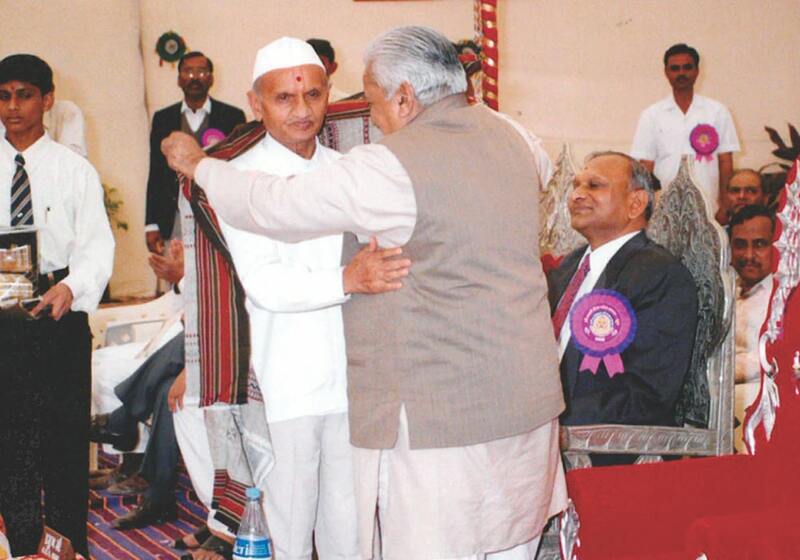 Kanya Sanskardham Silver Jubilee Celebrations 2013 – 14. 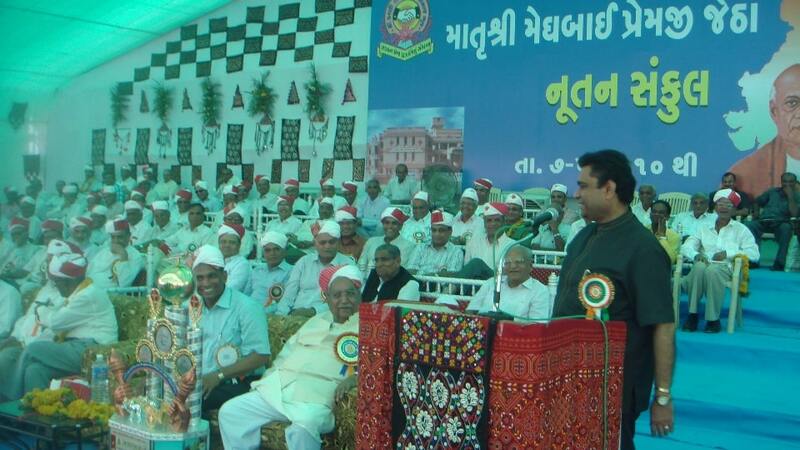 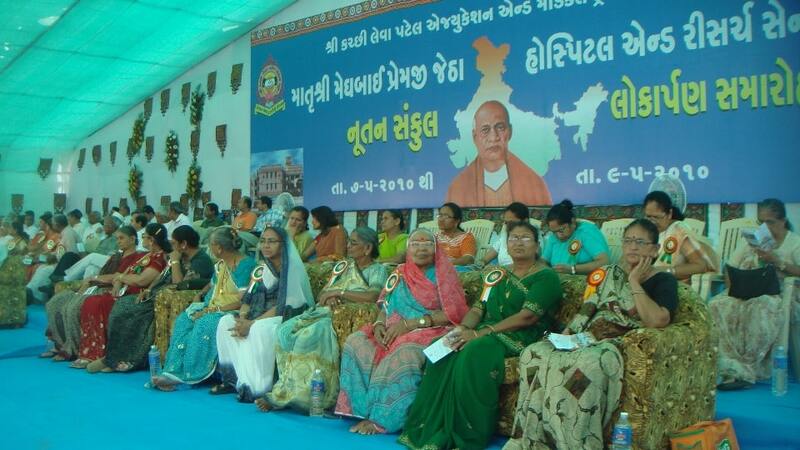 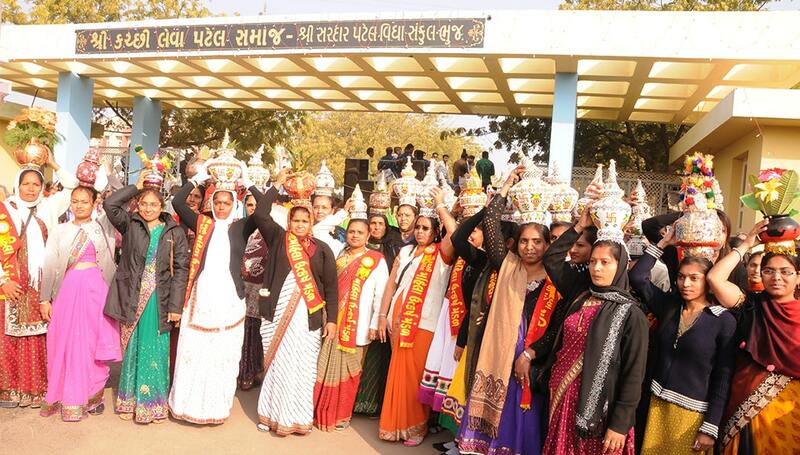 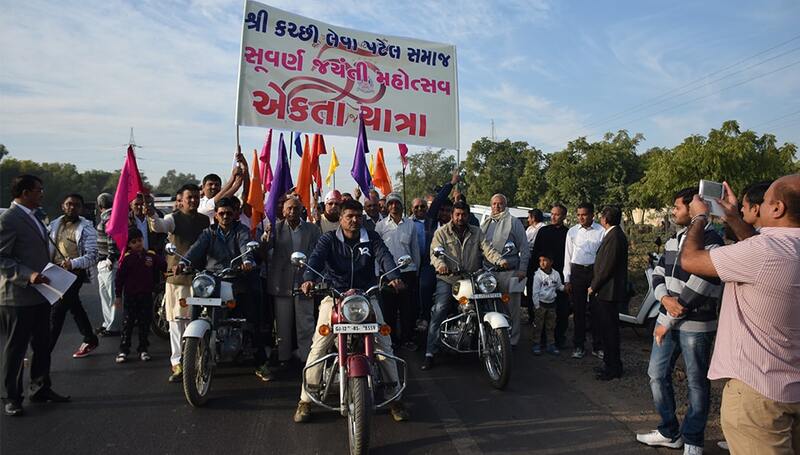 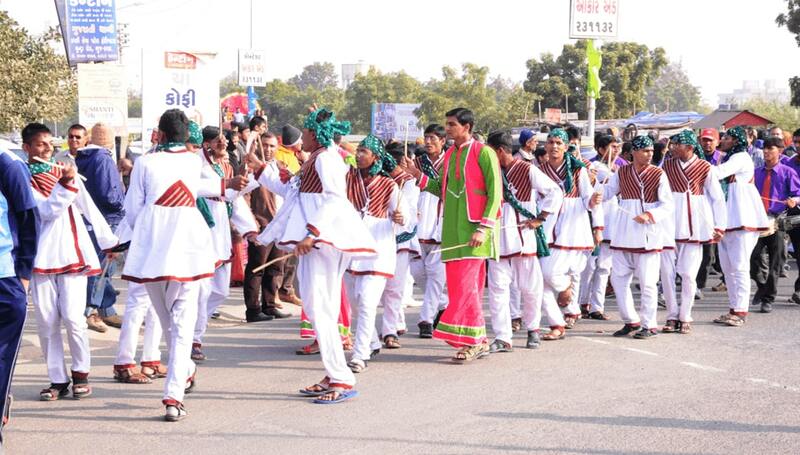 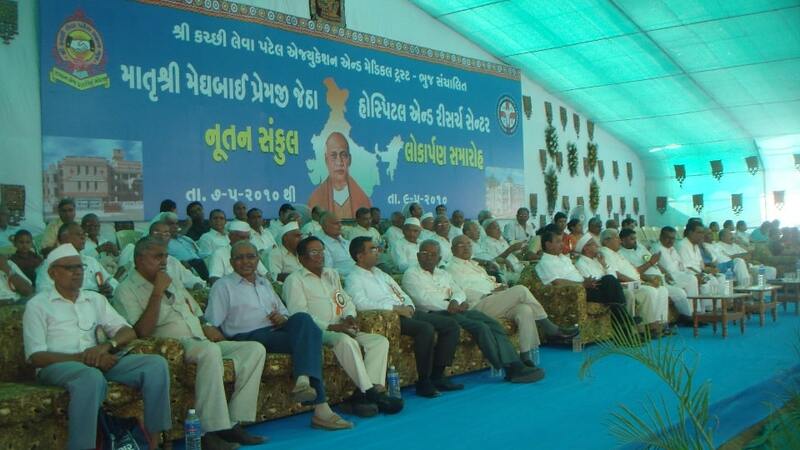 Kutchi Leva Patel Samaj Golden Jubilee Celebrations.